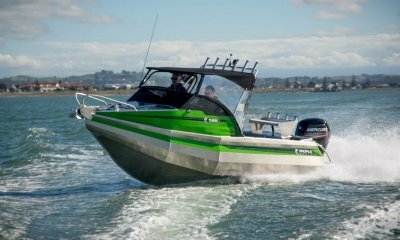 With extra deep-V hulls and Pro-chamber pontoons, Profile Boats are unequalled in their ride quality. See the video now! 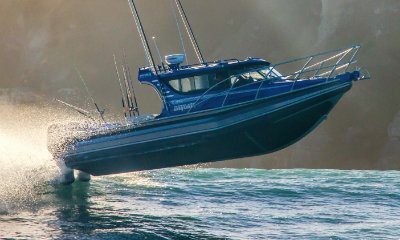 Designed for the toughest seas in the world, Profile Boats underfloor bracing design means that our hulls can withstand the most adverse conditions. See the video now! 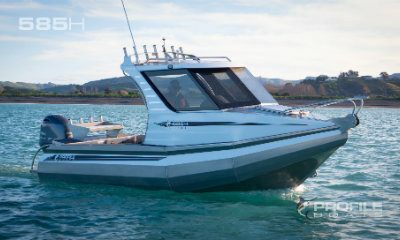 In every Profile Boat* there are 3 fully sealed buoyancy chambers in the side pontoons and 3 fully sealed buoyancy chambers underfloor meaning there is a huge amount of excess buoyancy to always get you home safely. * Excludes 1410 range. 3+1 in 1410 range. 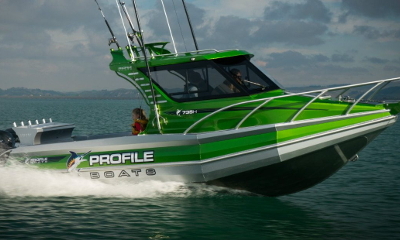 Profile Boats have teamed up with Yamaha and Mercury outboards to provide packaged deals. 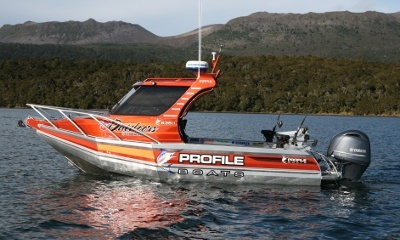 Profile Boats is an authorised dealer of both brands with trained technicians overseeing the fitting of the engines. Offering full factory backed warranties the choice is up to you . 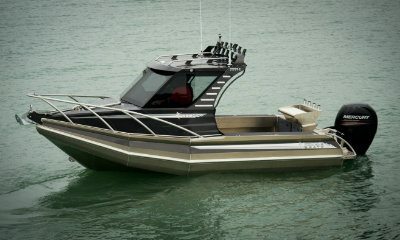 All Profile Boats are backed by a factory fit out. 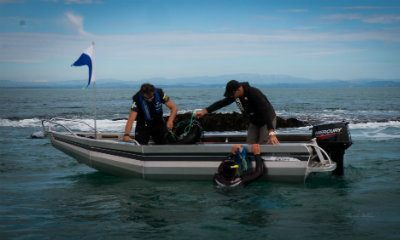 This means the outboard, electronics and steering are all factory fitted. This means a consistent high quality standard is adhered to at all times. 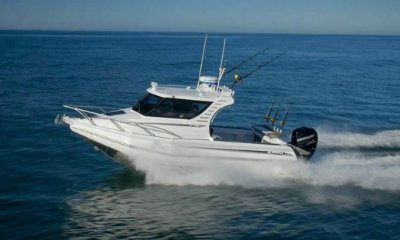 We also sea trial all rigged boats so you have the confidence that your boat is right straight out of the factory. 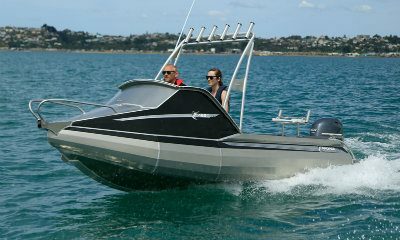 With a dedicated team of professionally trained technicians nothing beats a Profile Boats fit out. 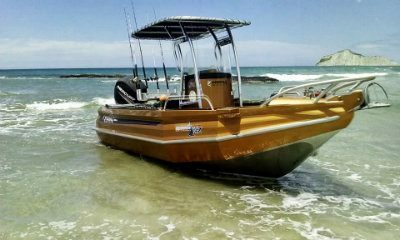 Profile Boats pride itself on the workmanship and quality of their boats. 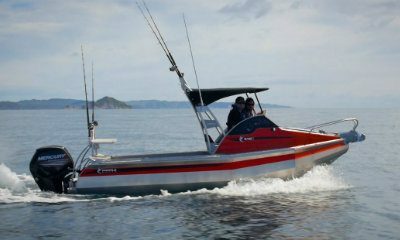 With a team of experienced professionally trained boat builders fabricating our boats we have the ability to offer an industry leading 10 year hull* warranty (excludes 1410 range). See detailed warranty information here. 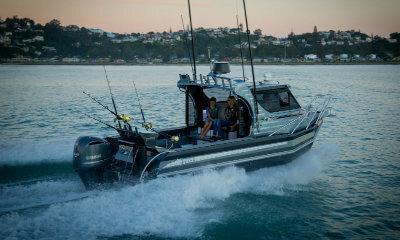 Designed to maximise deck space and create toe space for fishing, the Pro-Deck feature is unique to Profile Boats. 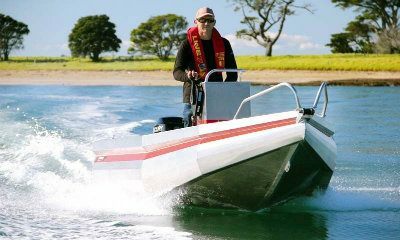 Ideal for big game fishing and beach launching Pro-Deflector transoms deflect water when backing up on a game fish or backing into the surf. 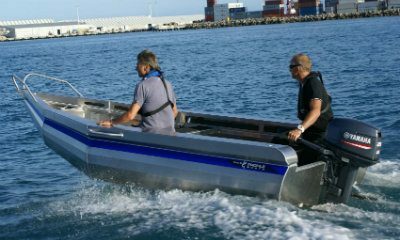 Auto trailer release mechanism built in the factory available on all Profile Boats above 6 metre.